The results are in from Round 1 of our Fenix Madness Tournament, and we were surprised on a couple of match ups. We appreciate all who took time to vote last week (and a lot of you did). 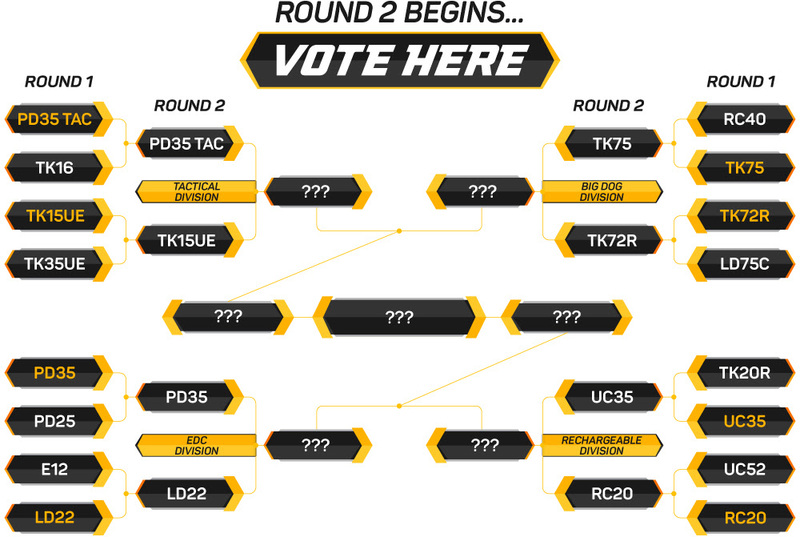 Now it's time to vote for your Round 2 choices. Let's see if there are any surprises this week. Do you want some great deals this weekend? 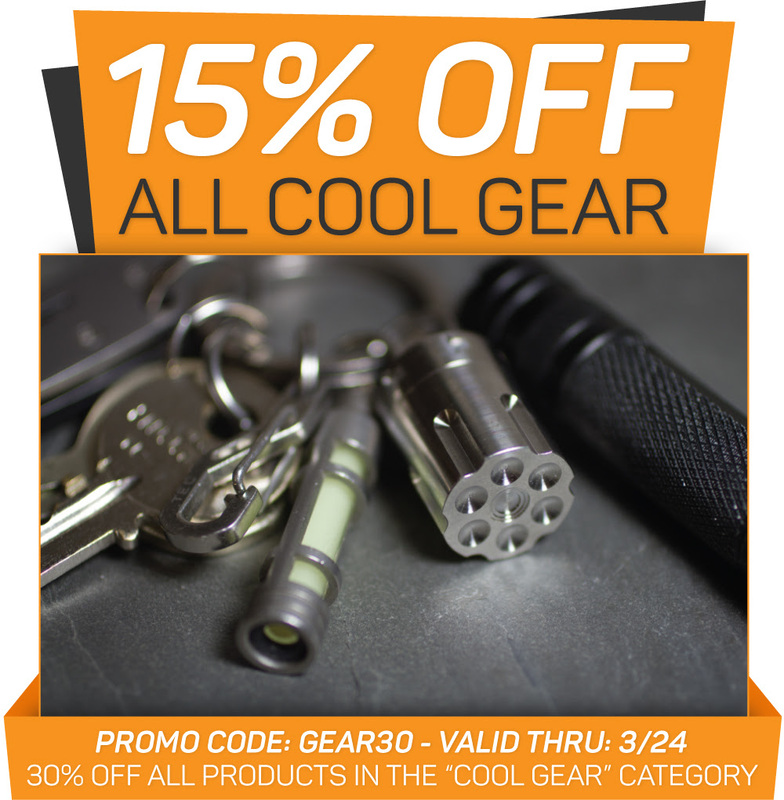 How about 30% off all the gear in our "Cool Gear" Category. The titanium gear is ready for your spring adventures. Details below. Remember, if you ever need assistance in selecting a light, CONTACT US, the Fenix Experts. Do You Have Unused Lumen Bucks? 1. 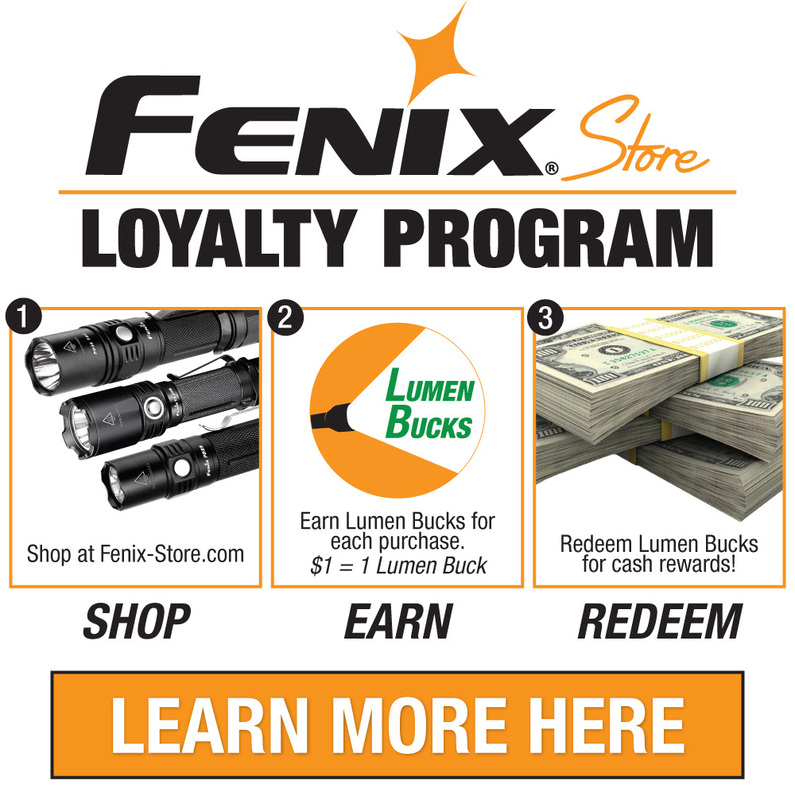 From the Fenix Store homepage, click on the ORANGE "Fenix Rewards" button in the lower, right-hand corner of the page,. 2. Log into your Fenix Store account. 3. Once logged in, again click on the ORANGE "Fenix Rewards" button in the lower, right-hand corner. There will be a pop-up window which shows you your Lumen Bucks balance (if any), how to redeem your bucks, how to earn more Lumen Bucks, friend referral program, etc. Just scroll through that pop-up for all the information.